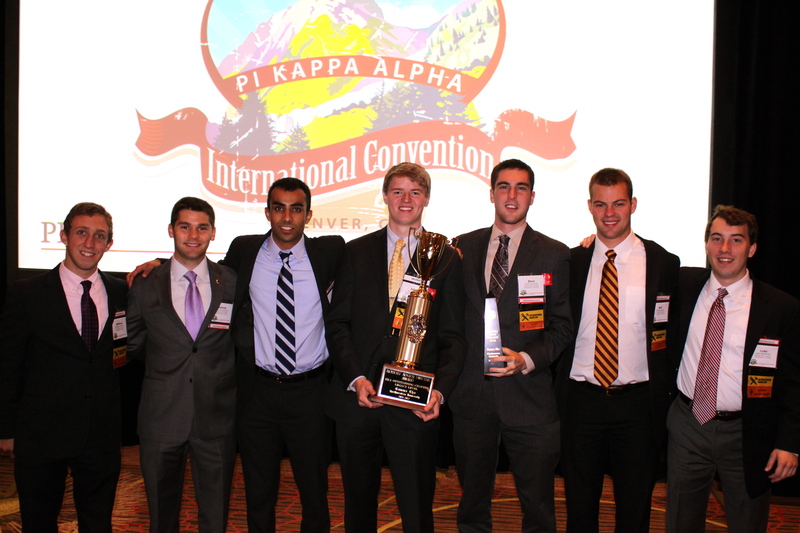 Gamma Rho was awarded its 3rd consecutive Robert Adger Smythe Award this past weekend at the 68th Pi Kappa Alpha International Convention held in Denver, Colorado. The Smythe Award is given annually to the top eight percent of Pike Chapters in the nation and recognizes excellence in all aspects of chapter programming. Gamma Rho won its first Smythe Award two years ago. Since that win, Gamma Rho has continued to advance itself as one of the preeminent fraternities at Northwestern. This year, Gamma Rho maintained a 3.31 GPA, initiated 32 men, raised over $50,000 for philanthropy, and ranked 1st on campus in athletics. Gamma Rho was also one of the few fraternities on campus with no discipline violations. “Thanks to the hard work of many brothers and alumni over the past decade, Gamma Rho is now one of the top Pike Chapters in the nation,” said president John Cowgill (’11). Gamma Rho won a number of other awards at the convention, including the Raymond L. Orions Excellence Award, the scholarship award (top GPA), and the Athletics Division I award. The chapter also placed as finalists in Alumni Relations and New Member Education. Gamma Rho is proud to announce that it will be sending seven brothers and one alumnus to the Pi Kappa Alpha International Convention in Denver, Colorado this July 26th-29th. SMC John Cowgill (’11), IVP Vivan Som (’10), MVP Matt Liffmann (’11), Treasurer Will Stark (’11), VP of Risk Awareness Luke Moderhack (’11), Co-Rush Czar Dave Richards (’11), former SMC and current IFC President Patrick Schnettler (’10), and Gamma Rho Chapter Advisor Mike Anderson (’88) will all be in attendance. 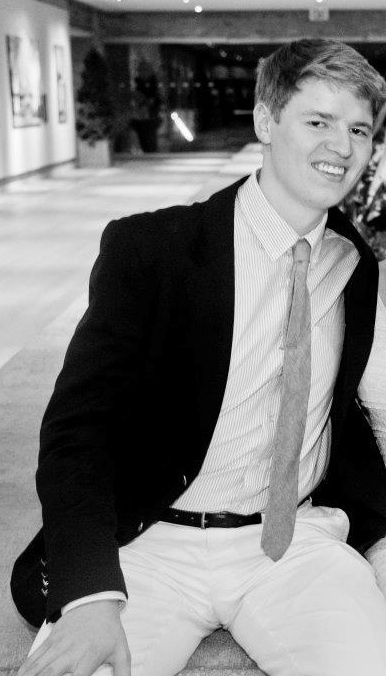 Patrick will also be interviewing to serve on the Pi Kappa Alpha Undergraduate Supreme Council. 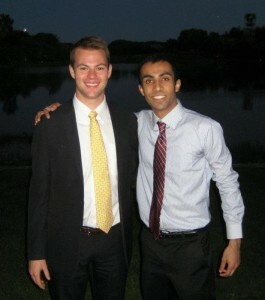 Wish Gamma Rho luck as it pursues its third consecutive Smythe Award! Pike will hold its annual Alumni Golf Outing on Saturday, June 2nd, at Glenview Golf Club, with Tee Times beginning at 1:30pm. The last group will tee off around 2:30pm. Lunch will be provided at the course beforehand, and the event will continue with food, beverages, and swimming for “the 19th hole” at alumni Chris Coleman’s house located at 825 Wagner Court Glenview, IL 60025 following the round. There will be a longest drive contest, as well as a closest to the pin contest, with prizes for the winners. Tickets for the golf outing are $50 and are available for purchase below. If you are unable to golf please feel free to join us for the “the 19th hole” festivities. Please RSVP to Alumni Relations Chair Kevin Gerner (kevingerner2015@u.northwestern.edu) and contact him if you have any questions or concerns as well. 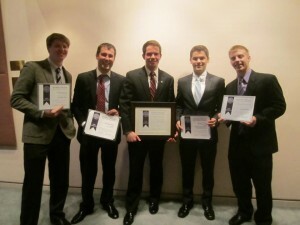 NU Pikes win big at Northwestern’s Order of Omega Year End Greek Awards. Pike won Outstanding External Relations, Outstanding Campus and Greek Involvement, and for the first time placed as one of three finalists for Chapter of the Year. In addition to chapter awards, Pike senior Paul Huettner ’09 won Outstanding Greek Leadership and Pike freshman Kevin Gerner ’12 won Outstanding New Member. Congratulations to all our brothers who made this year one of the most successful, rewarding periods in our chapter’s history. 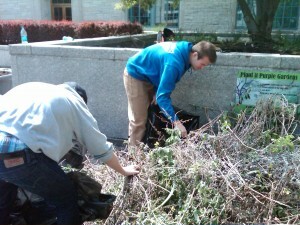 Five brothers spent the Earth Day 2012 gardening on Northwestern’s campus. The brothers worked with Pike’s housing manager, David Giljohann, who runs the garden located near Technological Institute. The brothers weeded and tilled the soil for new seeds. Though the work was grueling, the Pikes were willing to help out their housing manager. 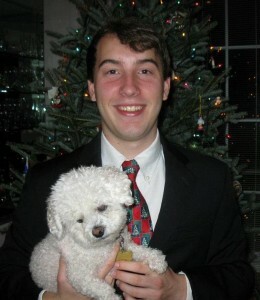 “It is always nice to go and give back to the earth and more directly Dave for all he gives to us with his work for the house,” said Matt Liffman (’11). Giljohann appreciated the brother’s work at the garden and he looks forward to their continued involvement next year. 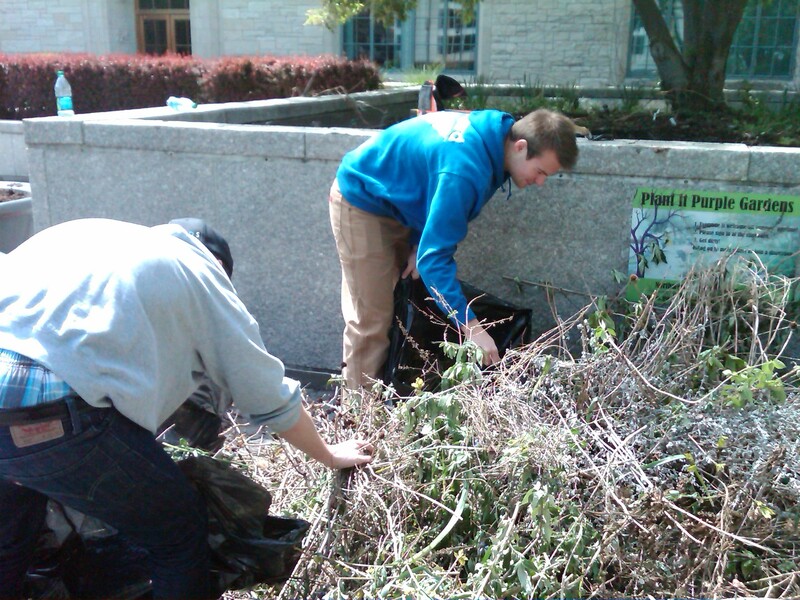 Earth Day, founded in 1969, is celebrated in over 175 countries and encourages people of every community, including college campuses, to give back. 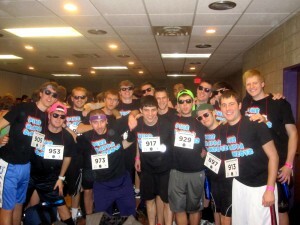 During the first weekend in March, brothers and pledges of the Gamma Rho Chapter of Pi Kappa Alpha danced for 30 straight hours in the Northwestern University Dance Marathon. The 12 Gamma Rho brothers and five pledges teamed up to dance with the women of Kappa Kappa Gamma. The team raised more than $42,000, the second most money of any dancer group. The 30 hours of dancing was the culmination of a brother-wide effort fundraising efforts in the past three months. The money raised went to support the Andrew McDonough B Positive Foundation, which provides financial support for childhood cancer research and emotional support for families with children who have cancer. 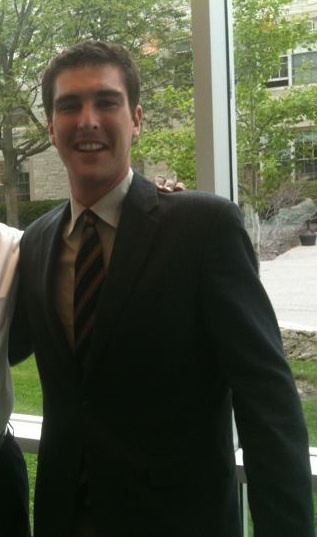 Brother Matthew Larsen (’10) did not dance on the Pi Kappa Alpha team, but took on a larger role in the event. He was a member of the Dance Marathon executive board, serving as the co-chairman of finance. 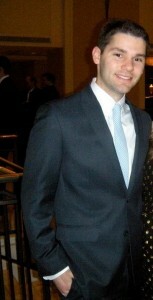 After dancing in his fourth straight Dance Marathon, Paul Huettner (’09) became a member of the prestigious 120-Hour Club. For the last six hours of Dance Marathon, the Gamma Rho brothers and pledges were able to spend time with children in the Andrew McDonough B Positive Foundation. The Gamma Rho brothers and pledges erupted in jubilation when the final fundraising total of $1,107,670 was announced. The total was the highest ever in the event’s 38-year history at Northwestern. the annual general elections in February. The Gamma Rho chapter started off the new year with a bang, adding 26 great pledges to the fraternity’s ranks during Northwestern University’s winter recruitment. The pledges are an eclectic group of men, hailing from all over the country and studying in five of the six undergraduate schools at Northwestern. Pledge Educator Mike Sharifi (’09), assisted by a small group of brothers, will help the pledge class learn about the fraternity’s history and values. 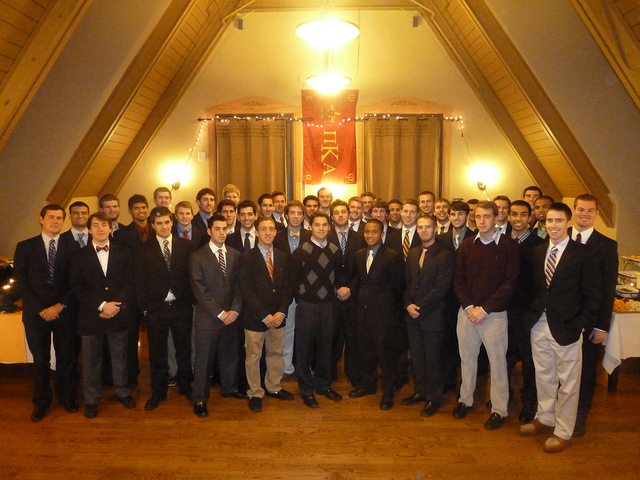 For more information on Pi Kappa Alpha recruitment, contact Nathan Jimenez at nathanjimenez2013@u.northwestern.edu. 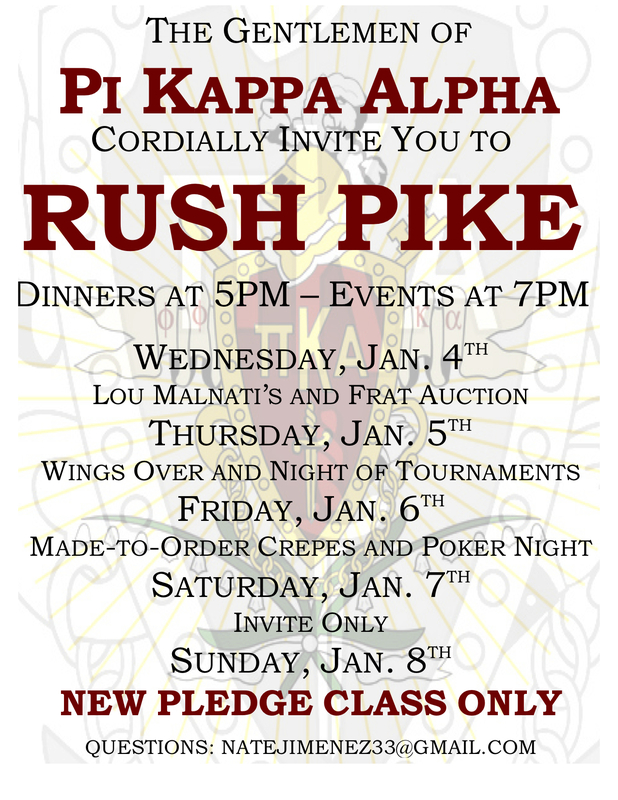 Check out the schedule below for Pi Kappa Alpha’s 2012 recruitment week events. Events are open to all non-affiliated men at Northwestern Wednesday through Friday. An invite only event will be held on Saturday. Go Greek! Happy Holidays from Gamma Rho!! The brothers of Gamma Rho would like to extend our loyal readers and everyone associated with the chapter a Merry Christmas and Happy Holidays! If you haven’t checked out the website in a while we have made some updates including some recent posts seen below as well as updating links under the “Alumni” and “Useful Links” tab. Thanks again for keeping up with Gamma Rho’s news! !